This is over the top only if you make it so. I beg that you see our deflection of your request as a positive expectation. This call for more innovation with an immaterial guarantee is everything worth begging for. It is so very important. You say, we will not consider activating our cry to innovate with first things first thinking in a new design. We say, ultimately there is no choice if real solutions are desired. We fear your conclusion of being out of position or out of power is just not the ending. We will have to stay in touch. You insist, in your business, that your changes are based on highest quality thinking and innovation for lowest total cost, but… you want to disconnect from first things first thinking when it comes to project your influence. Well, you are a higher power and you know truthfully that there are even higher powers working with first things first thinking, with increased discipline and commitment, to actually meet the requirements of the next step. This reminder a month… seems small when it also contributes to moving the most at risk to our world of early reading work, networks and expectations. This insignificant USA VALUES’ role is to publish the end in mind need for our powerful economics assuring innovators a true ROI for those who have the most to gain. I promised your call to the school district would not cost you more cash. 100% ready starts set the stage for making everything different, school district by district, for the 21st century and you can project the new money to exist. The expectation is more important and dramatic than capping the gulf oil leak. Really, you know, everything is different when the gap is closed at the source. The district has externalities and cannot start the journey without you challenging and supporting them to honor the most basic science of dependent event management in systems to achieve more throughput / proficiency, less total cost and less loss from in-process education. Of course you already know USA is without grassroots power at a school district level to overtake the externalities. The first things first solution reaches into the pre-k complexities. But you are not without the initial power of influence and suggestion in a new design. That is all it will take. 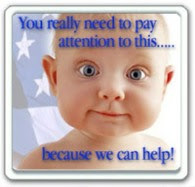 Why USA VALUES, LLC is sending you an email every month. For clarity, this is not fun - but our request is that you start with a simple statement to USA VALUES, LLC (USA) that your company would consider, under further review, asking a school district or several to cause 100% first things first early reading skills delivered to kindergarten starting with the bottoms up most at risk children. You get district attention by asking them to innovate and offering them a guarantee of the new money bonds required to create the new capacity. This structure is presented in private and helps them with innovation and savings within their own program. USA is a private company projecting that created sources of venture collateral to “intrude”, reach through mom and benefit the most at risk age 0-6 children with ready to read skills…will change everything in the USA. We have sent several letters now published on the blog http://chardevelactivity.blogspot.com/ to build an adequate foundation for the request. USA is creating a simple process that starts all (100%) of the children ready. The local process is already funded with budget dollars in the present system to be saved and paid back over a bridge period. Only your challenge puts 100% delivery first things first on the table. Every company in the USA would benefit from the growth. Every district would reach the 100% within its own plan. We have other requests of still large but smaller businesses that revolve around stories to prompt first things first thinking in communities and public school systems. Combined attitudes, directly influencing at risk mom’s attitude, projects positive expectations due to individual child asset building. USA is local public promotion for that asset building projection so all corporations can stay, without complication, positive. USA’s dilemma is - do we really help or do we just go along without a 100% delivery goal. Honestly, Washington D.C. or the Statehouses cannot get enough new money to new most at risk deliveries required. Without a local 100% goal, it leaves 30-80% of our kids in the ditch of the gap before kindergarten. How much longer will the most powerful in our nation not require first things first for our most at risk? Here are three reasons why you should say YES. 1. Build on real science that you know and use everyday. Innovation is your ground to make common. The process of Constraint Management for innovation and savings and first things first (FTF) change must be shared with schools and government. You already know for yourself, trust me or accept the science authority that shows FTF choice has fewer options. This is a very important point about waste created by dependent event bottlenecks that are not seen at the delivery points..
2. The Present Value of Positive Expectations from Prek (PVofPE-Prek) has a personal positive expectation growth of $500,000 at age 6. This is the expected increase in GDP present value if the child is not ditched in the gap before age 6 and graduates. Your children or grandchildren’s present value is way above that; but, if a 25% compounded annual risk factor for distraction is applied to the child; his or her present value projection is less than $25,000. It is an out of the box setup to use Pre-k to 12 investment and expected innovation so that 100% of the at risk kids carry a $500,000 present value expectation into first grade and every grade thereafter. This would mean plus b-trillions of new dollars to our nation’s projected proficiency and GDP growth. There are 75 working years after starting kindergarten and your company is well positioned for ROI from this projected growth. Quality is free, this would cost you nothing out of pocket. 3. The Pre-k Juggernaut presentation by Chester E. Finn Jr. calls for focus on the most at risk. It makes the case for not depending on universal pre-k for a solution because that is not intensive enough to actually break the constraint holding back our most at risk. Your power could just cut through the debate with dependence on the traditional values of Courage, Discipline, Work, Commitment, Innovation and others by asking for and supporting school district innovation and savings from capacity management, as we have explained. 4. I promise you this immaterial guarantee is carefully structured to never cost the Fortune 1000 company any cash. 2. We get our largest return for the money by delivering early reading skills plus more to the most at risk. Prominent Economist James Heckman says so. http://www.heckmanequation.org/ 100% should be the end in mind to be as good as we can be. 3. Aligning the Preschool Juggernaut effectively depends on delivering the most at risk with a focus that meets the real requirement of kindergarten teachers and real systems of high quality. Reroute the Preschool Juggernaut, Chester E. Finn Jr. is the President of the Thomas B. Fordham Institute Advancing Education Excellence. http://www.hoover.org/publications/books/8138. 4. Who in our nation has the power to reroute public education to a 4% GDP growth rate from the present 2%? A massive move to capture b-trillions of dollars of present value positive expectation is possible. Eric A. Hanushek, Hover Institute (Stanford) Senior Fellow in Education has written chapter 16 - Education Quality and Economic Growth in The 4% Solution – Unleashing the Economic Growth America Needs - George W. Bush Institute. In that chapter one can clearly place, at the bottom of page 231, 100% kindergarten readiness into the beginning of his accelerated GDP Growth Rate from controversial improved teaching. Kindergarten readiness is no longer controversial and reduces variation to help teachers, principals, and districts directly. USA must be asking for the CEO discussion and commitment to gently intrude. It is part of the end in mind corporate ask of our nation for more proficiency from our most at risk. Turnarounds can be defined by first things first choices that exactly meet the requirement. USA cannot offer a free anything to you that would matter but... Our phone conversation should be about you and yours, so please list three frank exceptions to all of this and we will stay with that agenda on the initial phone call. Please contact me for that important discussion. If you were to ask HOW? First, what USA VALUES is proposing has never been done before, except parts have been implemented with local success, without the private sector “glue” to sustain and replicate outcomes and new early inputs. Socratic logic places the Components and the Higher Thoughts together for the expectation of 100% early reading input flow to kindergarten in a dramatic change. Each district is indirectly served by a veteran executive owned promotions and advertising company repeatedly using a single public service message set in an economic territory. The local message is paid for without increasing costs. The local businesses leverage advertising that they must do to reach the local consumer. Each location will naturally see to the development of growth economics, education, emotions and ethics at its own pace. Growth is expected from the delivery of early reading skills, counting skills and understanding of positive direction before kindergarten. This also provides the basis for individual grit, networks and positive expectations needed to grow. Repeating, these points take shape locally one size fits one for each community and school district. Please contact me for that important discussion. Are Enough Businesses Asking WHAT? The challenge to innovate from several of the Fortune 1000 helps USA VALUES positioning of the “first moving school districts” with their opportunity - Opportunity to create their own new money for their own definition of high quality improvement and increased successful throughput. The district proposed process has been accepted as “too logical” by one superintendent and school board member. And, parts of this concept are in operation today. starting with the most at risk children. First moving districts will agree to undergo scientific changes to create their own system of improvement removing capacity constraints and remedial efforts that have increased total cost. You know from innate understanding of process that everything would be different if the system started with 100% reading, counting and emotional proficiency. You know; 1) if there is going to be difficulty in creating readiness in age 0-6 children - earlier is better than later and simple early requirements are better than complex; and 2) private sector leadership measures throughput and total cost against 100% for many large benefits; and 3) it is time to share the thinking and processes with public education systems; and 4) 100% objectives expose all the issues to the progress but as mentioned in letter 4 only work on the real whole system constraints (1 or 2 max) will generate continuous improvement. What is first things first is not optional or judgemental. Our alignment with you and the school district in the process of creating the new money to reach 100% readiness delivery is unique – Your cash is not used; the school’s traditional sources of cash are used, and if required you collateralize their borrowing for this very specific effort. Your venture collateral under our School District Credit Demanding Skills (SDCDS) contracts your assurance that payback will be made. Your collateral does not play without district contracted commitment and local effort that include specific Theory of Constraints continuous improvement and Early Reading Skills Delivered processes that generate local admiration for the courage to reach 100% for the 21st century. We have a 20 point discussion agenda for large business. Our Positive Expectations home page makes an issue about reaching 100% and links to our nation’s effort that does not. We are not writing a book, points are being published via email to the CEOs in single page digest bites. The emails and twitter will measure the commitment of our nation’s private sector to first things first benefits. Is 100% readiness before age 6 really defining the gap? This presentation of alignment http://www.usa-positive-expectations.com/support-files/alignments.pdf is for CEOs. Please contact me for that important no choice discussion. 4th Request, thank you for your time. 100 companies of the Fortune 1000 companies would represent 10% of 15 Trillion dollars of value positioning (not spending) to insist on first things first attention. If there were 200 companies (it costs nothing to lead the positioning of innovation), what then? The most at risk could be mentored through and with mom without changing anything today. Not one Fortune 1000 dollar is to be spent within this venture collateral model. A pledge limited to an immaterial fraction of 1% creates a very powerful call to innovate -first things first- and just take care of the start to high quality for 100%. Nothing is going on today that addresses 100%; that is the grass root key to public school effectiveness in education, economics, emotions and ethics. Without a focus on 100%, our systems just don’t deal with some issues and real total cost is not addressed. You know this. See our first three letters http://chardevelactivity.blogspot.com/2013/03/request-afterresponse-dear-fortune1000.html); the issue and choice will never go away. Say yes and climb the right mountain. Any other decision keeps you in base camp or climbing the wrong mountain according to Stephen Covey. I have many positive reasons making me so bold to try and intrude on the Fortune 1000. You also have many reasons right now to get to yes. You have the power to help schools see first things first and make this happen. Besides the pure joy that takes over when children read the first and second Bob Book before they are 5 years old, the ERSD-RA contracting by the school district with the local preschool juggernaut would economically grow the delivery capacity to the exact requirement of the district. The Fortune 1000 intruding with commitment here, for the most at risk first, is an innovation K-12 districts have been talking about without new money for 20 plus years. Help the districts, with leverage earn the new money with new commitment to their own designed high quality innovation and savings; with a new scientific understanding of the important first things first capacity constraints. A few districts are further along this path than others but rarely address the early literacy issue as if it were equal to the early safety issue and even more rarely do they see it as the capacity constraint that could eliminate excess costs. Simply, leaders owe it to themselves and their company to prompt innovation based on first thing first expectations for 100% delivery, in addition to everything else your company is doing. Please set up the discussion with me, I have a very simple first step. Thanks you for your time. Education reform seems to always be calling and I understand charters, vouchers, common core, STEM and vested interests in those and other steps to increase capacity and results. All remedial efforts to increase proficiency are good. 100% delivery of early reading and math skills in all day kindergarten are better. 100% delivery of early reading skills, counting and understanding positive direction before kindergarten are best. The bridge to best does not have to cost more money and your company as one of the largest is critical to providing the leverage base to that bridge. I am writing to the CEO to talk about the brain power that we are not creating first things first (FTFRTFT) that would have a chance to solve the STEM shortage, and others, way into our children’s future. Your company has the power on earth with other Fortune 1000 companies (subject to even higher power not seen) to change everything. First things first focus on at risk age 0-6 children brain synaptic closings on literacy and order will change everything. You know it is important to get this right after 50 years of “reform”. The Fortune 1000 has the “venture collateral” to insist that school districts innovate on a first things first basis with economic definitions of quality, internal and external customers, throughput, and total cost among other innovations so that our nation stops wasting the millions of lives per year needed to sustain and grow our future. The market value of the Fortune 1000 exceeds $15 Trillion and dwarfs other sources of leverage to innovation. 1. Issue the no cost challenge to school districts that leverage innovation and creates new venture money for schools that in turn creates the $500,000 present value of positive expectation (PVofPE-Prek) in each at risk child at age 6. Two million children, each year, need this positive expectation. In your business positive expectations drive everything. 2. Help the k-12 school districts with proven world changing innovation of FTFRTFT, Quality is Free, Constraint Management, Throughput Accounting, Total Cost Consideration and others. Our free society has benefited from this in abundance, built one size fits one first things first, but suffers because high quality is only partially delivered. The USA cry for high quality Literacy is Freedom has only “you” in position to insist on 100% initial delivery. The final 30-80% of our population is proving to be a high quality challenge in varying degrees. In your business you insist on adequate attention to 100% of any capacity constraint at risk of not meeting the requirement. The districts and all the age 0-6 children are at risk of low expectations right now. 75 future years depends on how they start now. 3. Insist the remedial dollar reach the most at risk of those at risk and at the same time patch the leaks to the 100% delivery process of ready to read, count and understand positive direction starting kindergarten. In your business you would patch the leaks yesterday. Early Reading Skills Delivered (ERSD-RA) as continuous improvement in the market will reroute the pre-k dollar to 100% delivery after you insist and prime the innovation with collateral so that it also creates New Money from old money. This is quite simple to execute. Again it is not about what we are doing. It is about the leverage power that we are not using to prompt specific school districts to innovate and create positive expectations with the money already in the systems. The money to first things first innovate is always within the system of interested paying clients. School districts are no exception. Repeating only you have the power to boost innovation for the most at risk. The leaders who will not commit to real high quality processes when positioned with New Money are not the leaders for USA’s future. The Fortune 1000 proves every day that innovation creates money and “how” is relevant to every organization on earth. The Fortune 1000 has the key to how the front end creates the positive expectation. I can assure you our needs are not in the area of hand outs, contributions or covering expected expenses. We will not solicit your company until we listen for the specific fit, unless asked. We think the fit will be win-win because your size still requires staying power in the USA built on first things first, trust and emotional intelligence. Certainly literacy, freedom and order are required. Every large company in the USA would benefit from urban economic growth because of education. Real Eastate and smaller business might track to the economic benefits even sooner. Consider this partial letter a pleading for the no choice discussion that would complete it. When might I call? We want you to project and position the no choice positive expectations that spread from high quality leadership. USA VALUES, LLC in the private sector working the public sector to a new commitment. These two books published by the Hoover Institute are high quality thought processes supporting the realistic need for USA VALUES, LLC in the private sector working the public sector to a new commitment. This PDF publishing of the books is an outstanding introduction and we encourage you to read and buy the books understanding the leadership required for Early Reading Skills Delivered of the at risk -- to reduce business risk and increase the proficiency of the USA School System. Only men and women of your position are powerful enough to direct conditional first things first public education money for our age 0-6 at risk. The increased brain power capacity (synaptic closings) is the driver of innovation and savings in the 21st century if you nudge district leaderships to capture this for our nation before it is lost. You do not want or need the power but the positioning to create this nudge already exists in the private sector innovation outside of the schoolhouses, courthouses, federal and statehouses. Your encouragement of the leaders to commit to first things first would be appreciated by the grassroots. Business and organizations already have the issue somewhat surrounded. 100% ready to read, count and understand positive direction starting kindergarten is first thing first possible, opens many other possibilities and will change everything. Certainly the talk about growth versus tax, debt versus equity, and private versus the government is only talk- with meaningful confidence in growth being marginalized at the start by so much that is partisan and not first things first. Here is a no choice new way from the first step that is not marginalized, and I hope you let me talk to you about it. This design captures power to influence school superintendents to innovate. It has a role for every business organization in the country. USA VALUES, LLC is a start up business of equity leverage products and services in local business with social attention to the most at risk who should want opportunity. Value starts by driving the economics (not contributions) of 100% readiness for kindergarten. There are alignments that create new money from commitment, but in the end they are quite simply courage, commitment, early reading skills and grassroots math leading to STEM. Local school districts and other schools see simple new money and the simple increase in proficiency from its commitment to 100% ready to read kindergarten starts. Schools, the pre-k silo, the most at risk and all of us benefit. Voids exist because governments are just not designed to deliver earlier in a one size fits one mode. Yet districts need a way to get as close to 100% delivery as possible with back up by the most committed. Local, national and multi-national business see this as a non-cash hand up drive to grow economics, education, emotions and ethics without a tax increase. The concepts of positive expectation, value, first things first, equity, high quality leverage and risk are applied within simple products and service. No choice courage to innovate turns to leadership staging. Position the K-12 schools to really reach the most at risk to avoid the gap in the first place. What would our nation look like without the education gap at age 6 for the money in the system today. Your leadership could be so much more than a public service message. This is a federal, state and local government budget issue of growth delivered by the private sector. More proficiency, individualism and new money are created without tax increases. Public policy change to help this innovation of public education is not significant, but would be helpful. You and the Fortune 1000 have the character to fully understand this new way leaving our early childhood education partisanship behind and quickly creating the first things first maximization of positive expectations. Every problem would look different in this 21st century with 100% reading readiness. Uniquely we are selling the delivery of the public service message product and service alignment from a private sector base so that 100% readiness actually solves problems, funded by innovation and required savings. Every organization inside the locational scope of the school district will be helped immediately by your positioning. Real estate and smaller business might track to benefits first. Please call me or email me so we can quickly develop understanding of this. I am prepared to show how no choice no cash is “banked” to create school district commitment to new positive expectations. It is unique, very important and actually stands as the base of STEM. Traditional contributions are not used in this program designed to self fund and replicate in the private sector. PS- The PDF publishing of these books create an outstanding introduction of issues, please read and buy the books to reduce societal and business risk and increase the proficiency of the USA School System. Use these concepts to transfer power to those committed. First thing first is important to each and every growth economic, education, emotions and ethics solution. These two books published by the Hoover Institute are Socratic high quality thought processes informally supporting the realistic need for USA VALUES, LLC. ; starting the private sector alignment of expectations and values to a new commitment. Before you read this blog, imagine you are a 3 year old at risk child and your mother is going to deliver you to kindergarten NOT ready to read and there is nothing you can do about it. And you understand the investment to get ready has been talked about (in design) by the powerful for 20 years, but the design is so expensive it makes the mountain climb ahead even more formidable and the leadership willing to do anything but first things first, in front of all that money spent K-12, that would not be needed, if you were ready. Who steps in with a hand up to ME? In 2 short years your going to teach me to help my neighbor, right? It might look like a hand out to mom, but to me, the rest of my life might hinge on it. There are 2,000,000 kids like me. What is my economic ready or not? It is at least $500,000 according to John Grisham who is known to “get it”! That is a trillion dollars of future growth a year, or not. Why don’t you write the ending, or the beginning. Keep it short and we can publish it. But, remember there are 2,000,000 just like me next year and per year after that. Our GDP is stuck at 15 trillion dollars and appears to say my growth is not a positive expectation; is not wanted; literacy is not freedom unless delivered overseas; quality is not free, and a half trillion dollar ROI on cost of 30 billion is not good enough. If you think I am out to lunch, say so. Be polite, it is a blog with many links to positive expectations. In an effort to focus on value creation we could register that 50% of the children start kindergarten not ready to read, count, and understand positive direction. The investment activity to deliver the most at-risk with theses skills requires a Samaritan’s focus on 100% of the age 0-6 children, new delivery, more rigor and commitment. Not Giving early reading skills to the most at-risk to start kindergarten is the first public measure of the gap in value created. The cost is less than .002 of published manufacturing shipments and retail sales. How small! Effective citizens wonder why it is not already fixed, because of the ROI. Fact is these skills are critical to the economics, education, emotions and ethics of the USA. If these skills were delivered, the neighborhood would be critically more valuable and cost less to grow and maintain. Christian thought and giving have been excluded from too many public schools; but are still important to preschool and K-6 proficiency.